Skiers start their run Wednesday during Opening Day at Steamboat Resort. 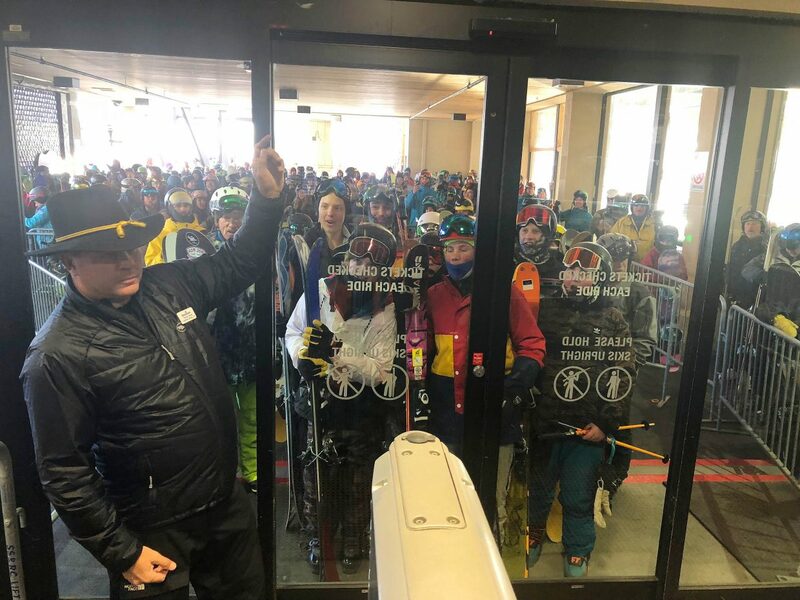 Billy Kidd welcomes guest Wednesday on Opening Day at Steamboat Resort. Skiers cruise down Heavenly Daze on Wednesday during Opening Day at Steamboat Resort. North Ute Indian Tribe member Brian Cervantes dances during Opening Day on Wednesday at Steamboat Resort. 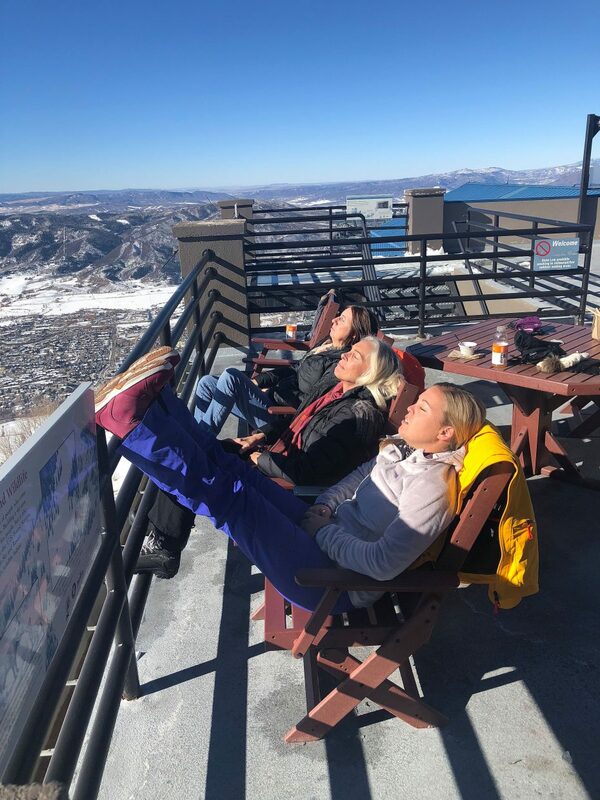 Steamboat Resort visitors, from front, Nicole Benz, Holly Collamer and Brenda Benz soak in the sun at Thunderhead Lodge on Wednesday during Opening Day at Steamboat Resort. 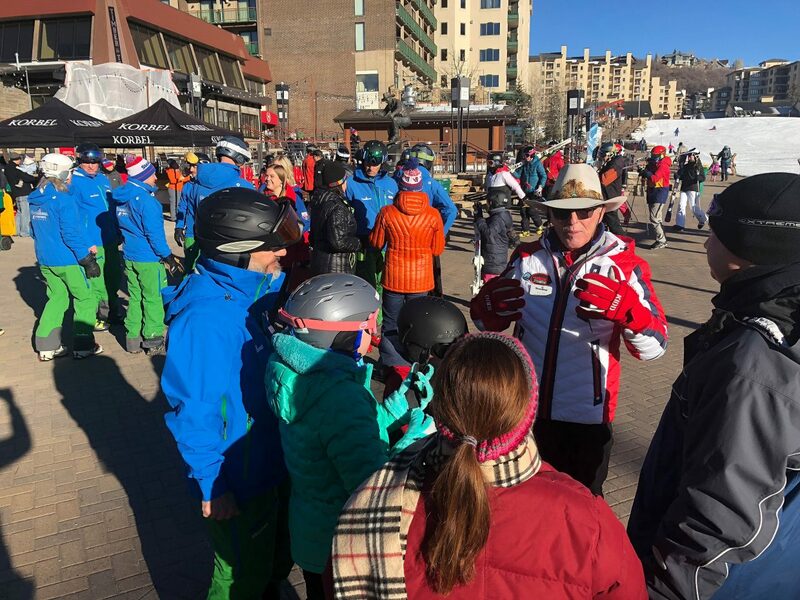 Billy Kidd visits with guests Wednesday during Opening Day at Steamboat Resort. Steamboat Resort employee Patrick Slowey gets ready to load the gondola on Opening Day Wednesday. 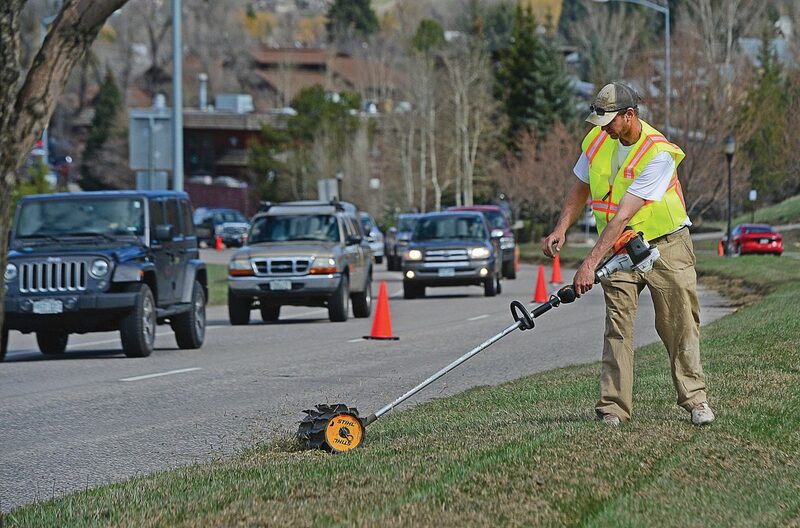 Crews were working on the upper mountain Wednesday in preparation for opening more terrain Friday. 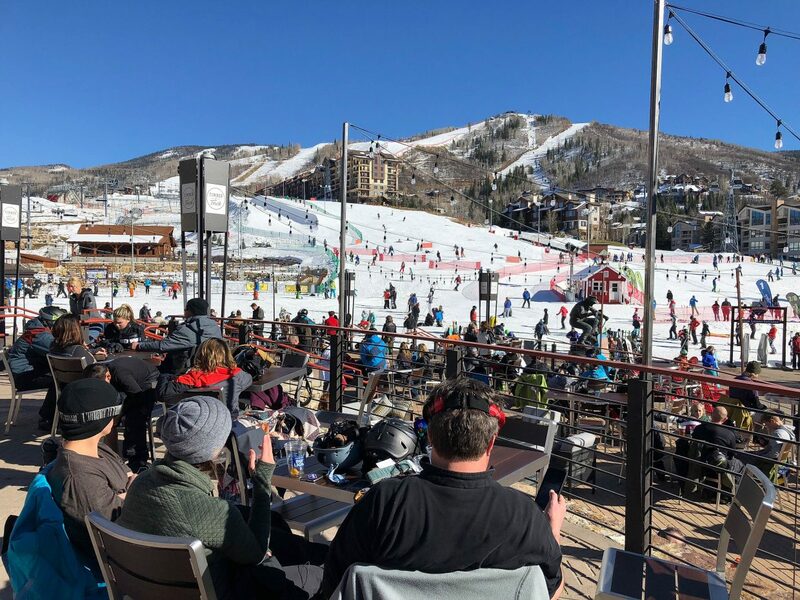 Steamboat Resort guests relax at the base area Wednesday during Opening Day. 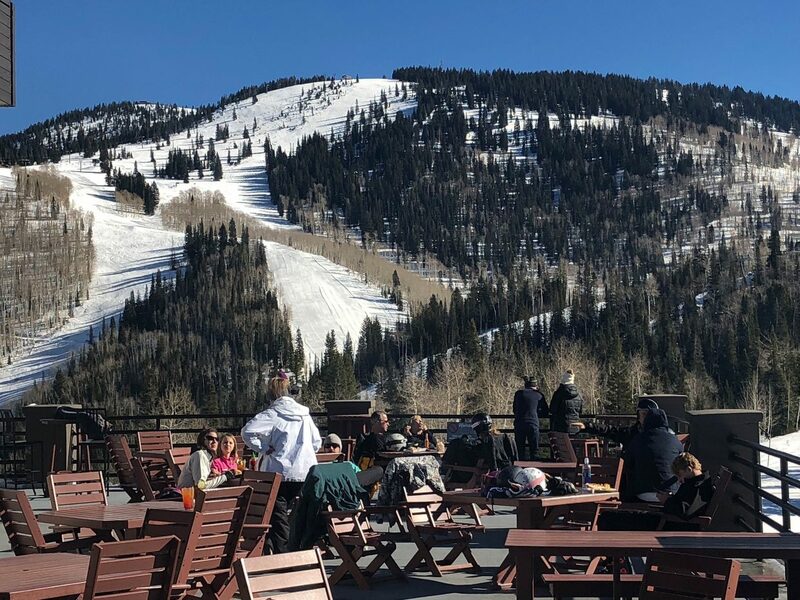 STEAMBOAT SPRINGS — Mimosas, Champagne Power donuts, good snow conditions, plenty of sunshine and a little encouragement from an Olympian going into his 49th season at Steamboat Resort helped usher in the 2018-19 ski season Wednesday. 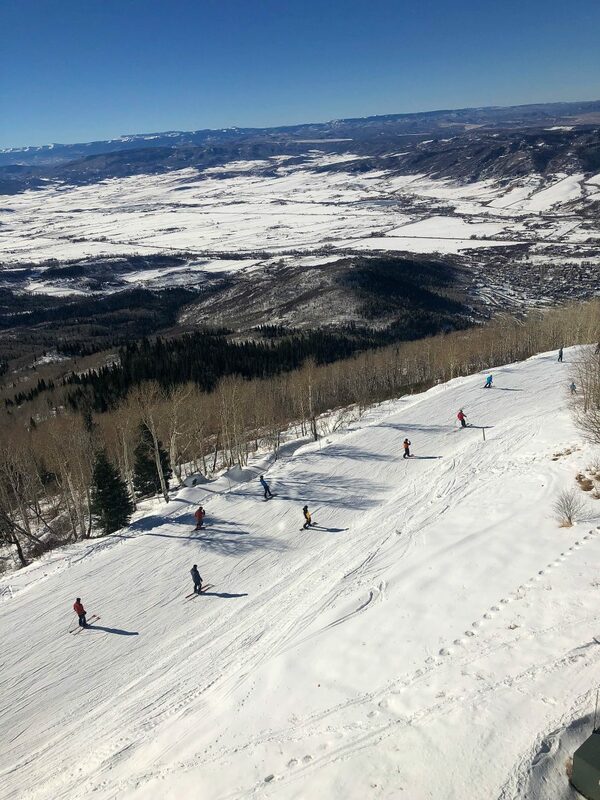 Steamboat Resort did not offer top-to-bottom skiing for Opening Day, but it did have good snow conditions with access to 11 trails served by the gondola and Christie Peak Express. 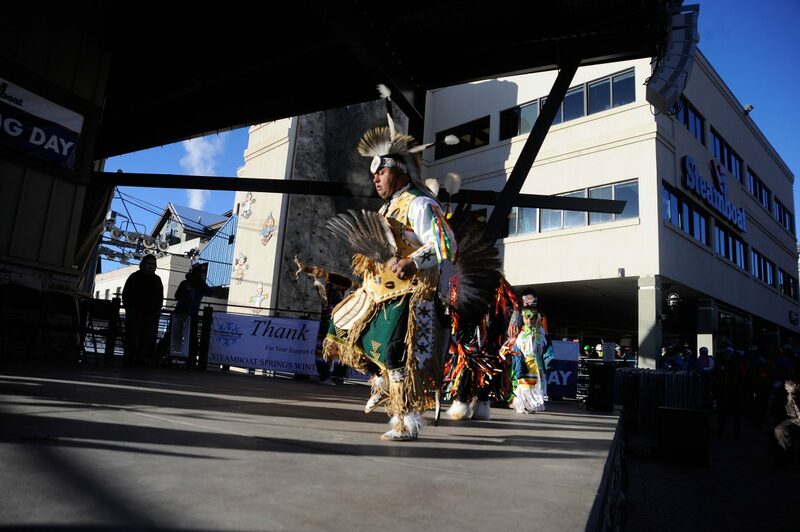 Members of the North Ute Indian Tribe did a prayer and traditional dance on the Gondola Square stage while skiers and snowboarders anxiously waited for the doors to open. “This is our old homeland, so it’s always good to come back home,” said tribe member Brian Cervantes, who lives in Vernal, Utah. 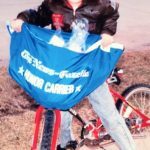 He was joined by his children Wilber Cervantes and Lamona Blackhorse. “We want to all say ‘thank you’ to Steamboat for showing you our dance,” Lamona said. Opening Day was attended by many Steamboat newcomers, including, Gib Mitchell, who moved here in June after graduating from college in New York. Rick Poole and his wife, Beth, have been visiting Steamboat since 1989. They are from the East Coast and were excited to be here for Opening Day. Steamboat resident Craig Kennedy was going into his 25th season of skiing in Steamboat. 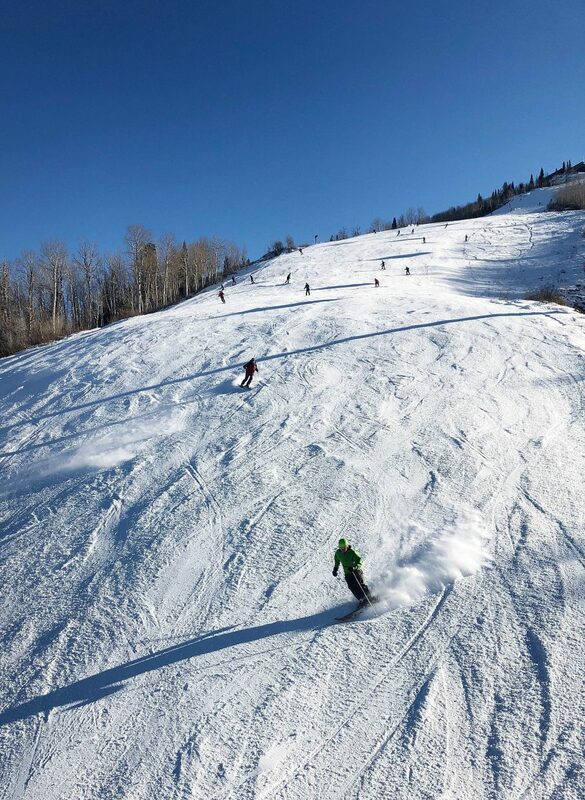 Heavenly Daze was in such good condition that Kidd guided skiers during his regular 1 p.m. tour. 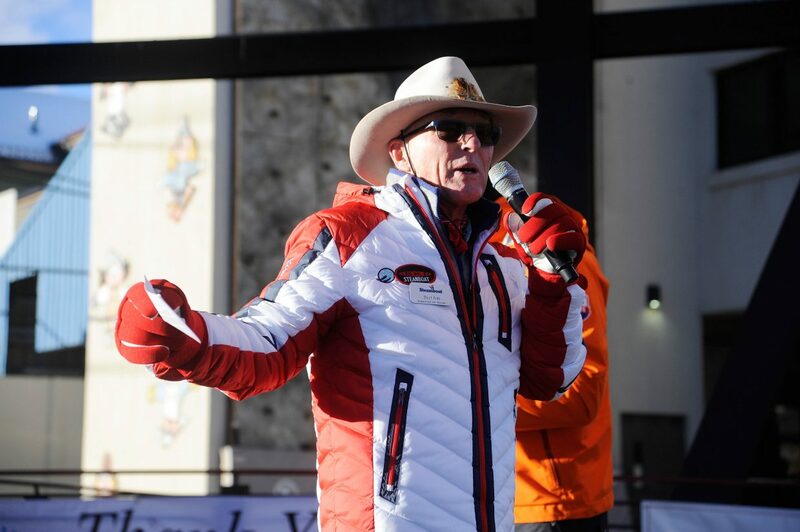 “I know we have a lot of future Olympians that are going to be skiing with me,” he said. Steamboat Ski Patrol Director John Kohnke is going into his 44th season at Steamboat. He praised the work of snowmakers, who have made a record amount of preseason snow.